Someone has gone missing from Wonderland. This confused fellow stands 28 inches tall not counting his ears! 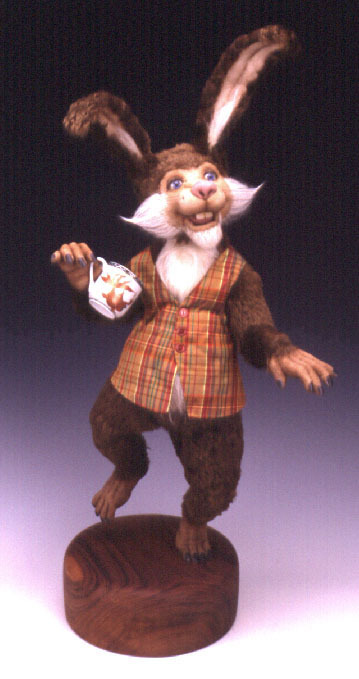 The March Hare is part of the Mad Hatter's Tea Party series done on commision. Characters of this size and quality are in the $3000+ range.